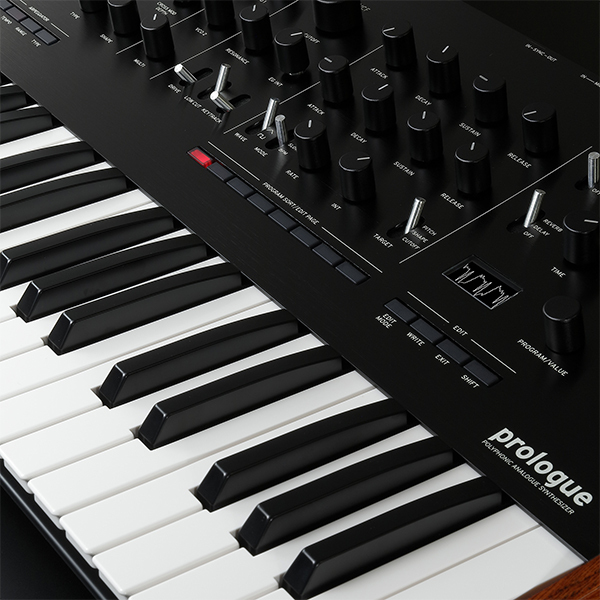 prologue is a fully-programmable, full-featured, professional synthesizer. 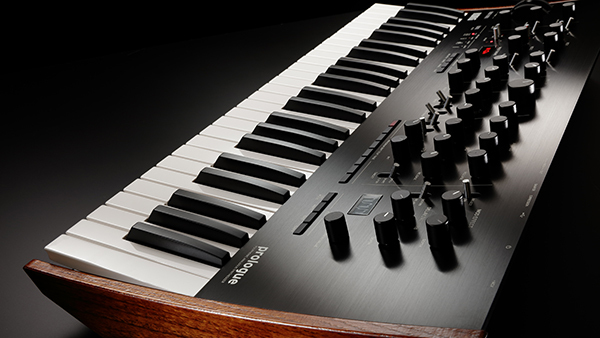 Preceded by the four-voice polyphonic minilogue and the monophonic monologue, it’s the long awaited debut of the flagship: the prologue. 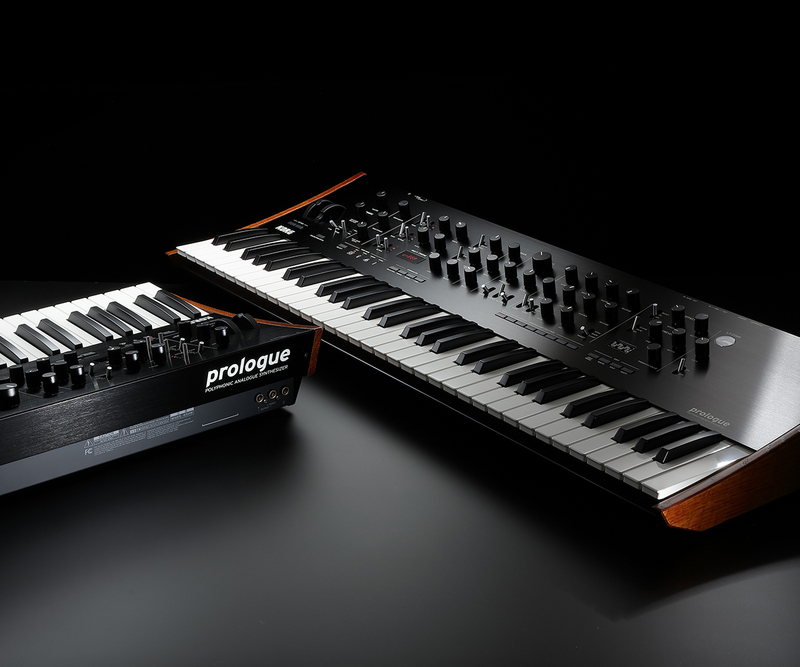 prologue is a polyphonic analog synthesizer equipped with a full-sized keyboard. 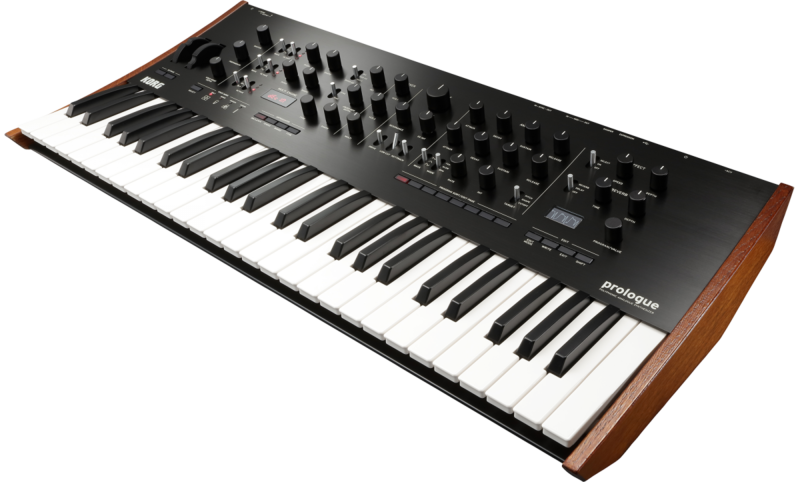 With powerful analog circuits that are descended directly from the earlier models of the series, together with a newly developed digital multi engine and gorgeous DSP-based effects, prologue expands the variety of sounds and the possibilities for user customization. Newly developed multi-engine equipped with three types: noise, VPM, and user. Newly developed L.F. COMP. (Low Frequency Compressor) analog effect (prologue-16 only). Voice modes that allow voices to be flexibly recombined. 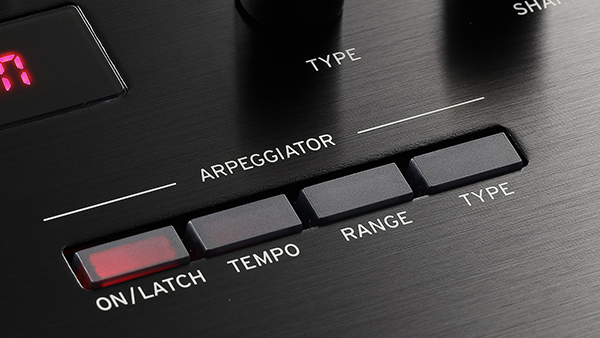 Arpeggiator equipped with a variety of types and range settings. Program Sort allows rapid access to 500 programs. Japanese-made high-quality natural touch keyboard. Oscilloscope function shows the waveform visually. Tough and stylish body made of aluminum and wood. Sync with another groove machine to enjoy jam sessions. 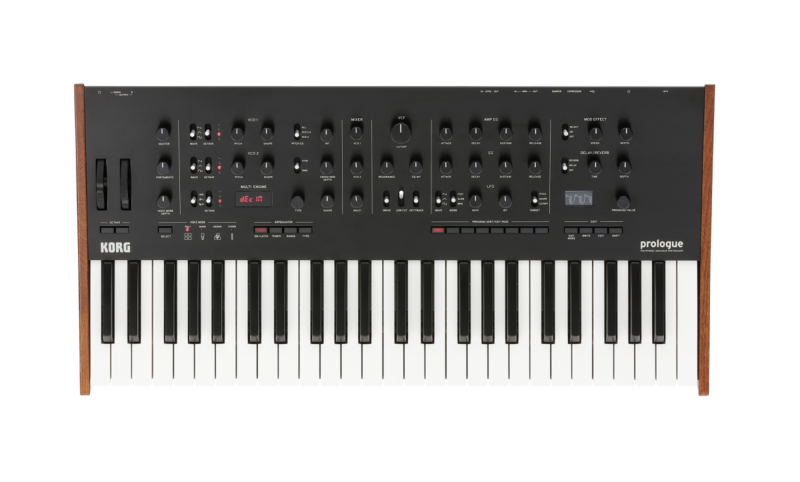 Lineup includes a 16-voice 61-key model and an eight-voice 49-key model. 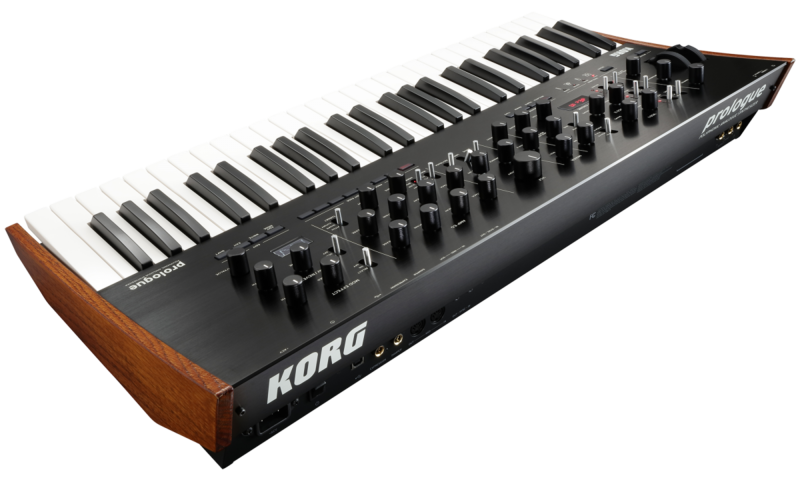 The high-quality digital effects feature pristine 32-bit floating-point processing, and add a further polish to the sound of the prologue. 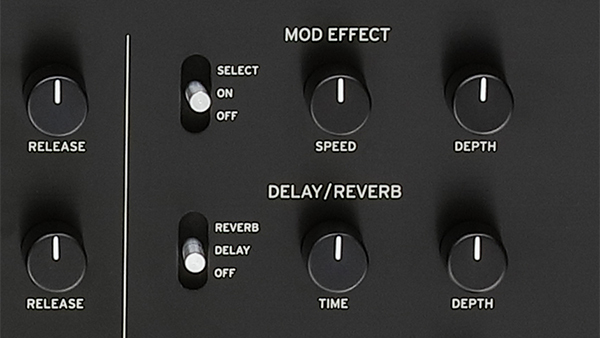 With two effect units provided (a modulation effect and delay/reverb), you can choose from a wide variety such as chorus or ensemble, warm tape delay, or diverse reverbs. The user effect slots let you load effect programs of your own creation. 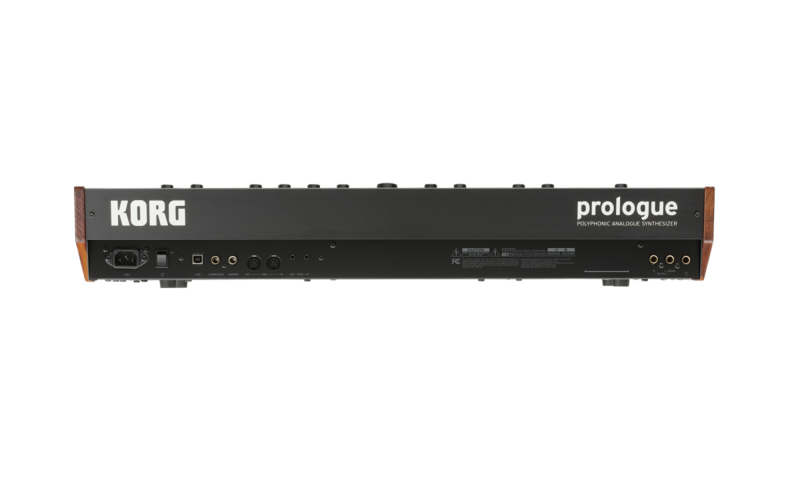 The prologue offers an SDK (Software Development Kit) that allows developers to program, customize and extend the capabilities of the multi-engine and digital effects. 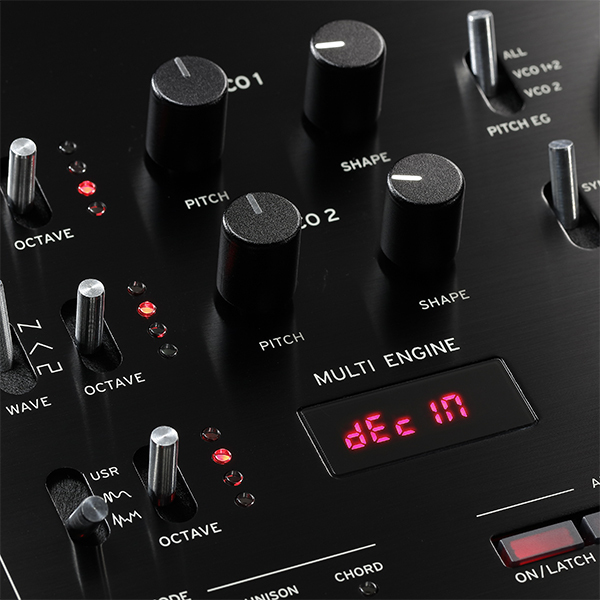 The prologue provides 16 user oscillator slots and 16 user effect slots, and users can use the prologue Librarian software to load into their prologue new oscillators and effect programs created by developers with the prologue SDK (Software Development Kit). 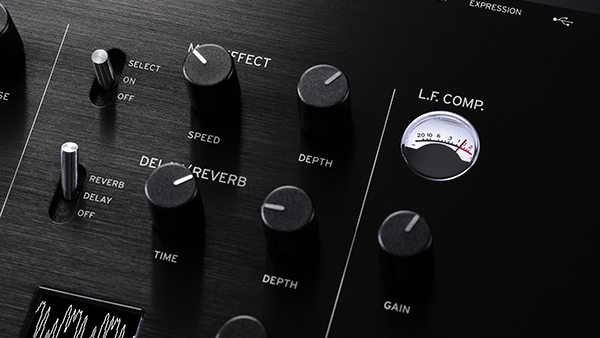 The exclusive VU meter is available only on the prologue-16, and indicates the newly developed master effect L.F. COMP. It’s a low end booster/compressor using an analog circuit, delivering a solid sense of presence that cannot be obtained from a simple EQ. 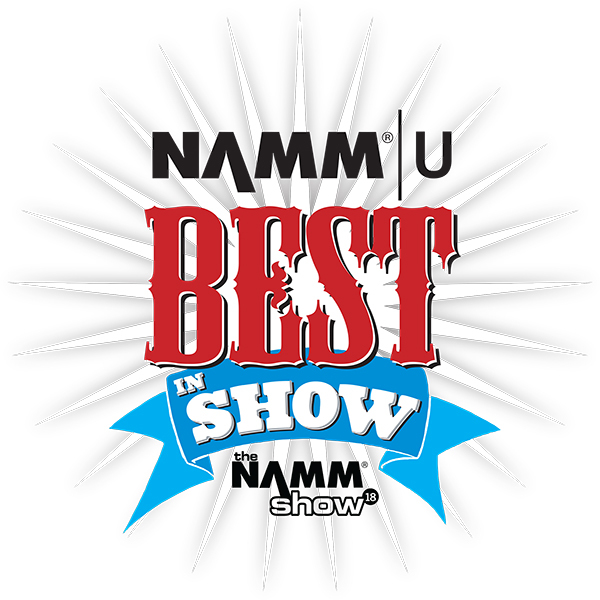 You’ll particularly notice the difference in high-volume stage performances where maximum dynamics can be utilized. 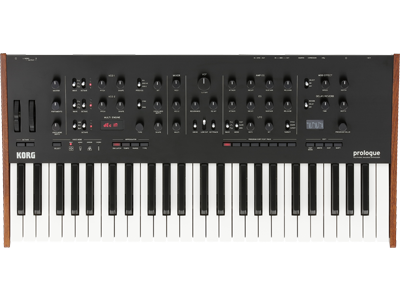 - POLY: Operates as a poly synth with up to 16 or 8 voices. 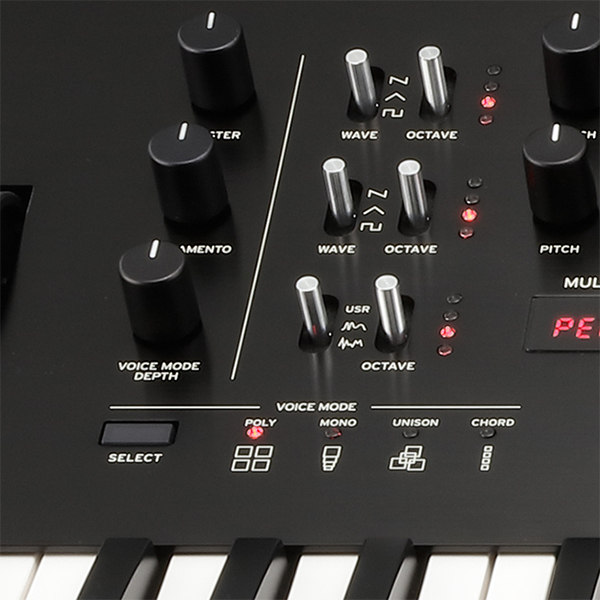 Turn the VOICE MODE DEPTH knob to switch to DUO mode, in which the instrument operates in unison as a poly synth with up to 8 or 4 voices. 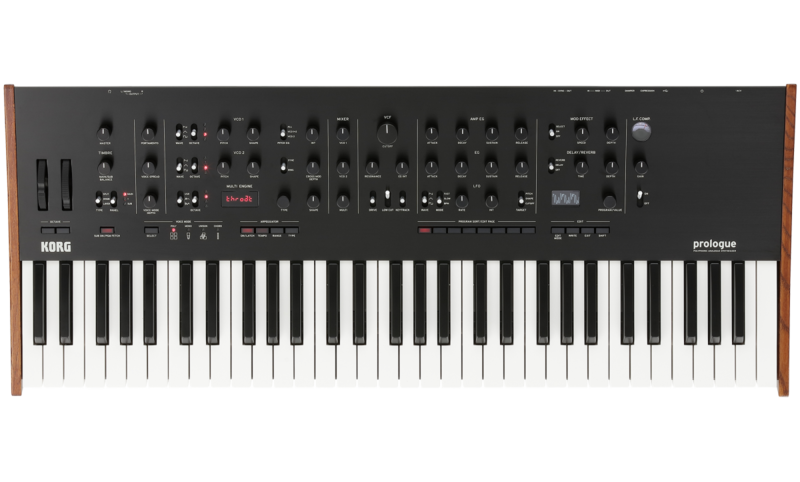 - MONO: Operates as a mono synth with sub oscillator. 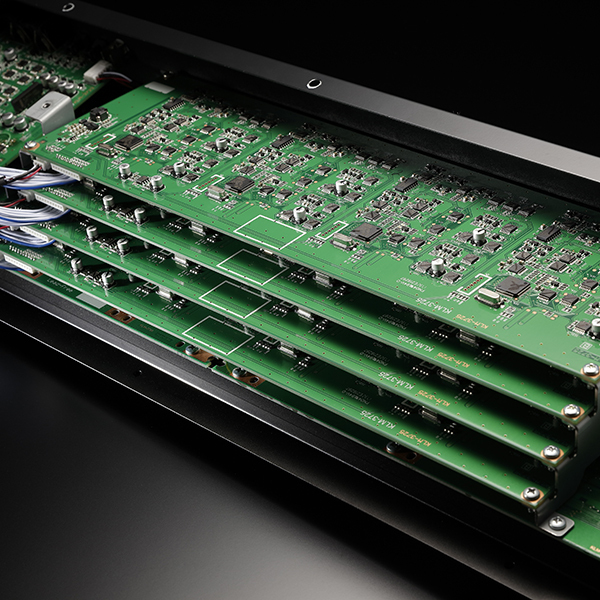 - UNISON: Operates as an all-unison mono synth. - PROG NUM: Sort by program number. - CATEGORY: Sort by program category. - ALPHABETICAL: Sort programs alphabetically. - LIKE: Sort by programs that you "liked." - FREQUENT: Sort by how frequently you used the program. - ENVELOPE: Sort by envelope shape. - LIVE SET: Sort programs registered in a live set. The attention to detail expected of a flagship extends to prologue’s playability and design as well. 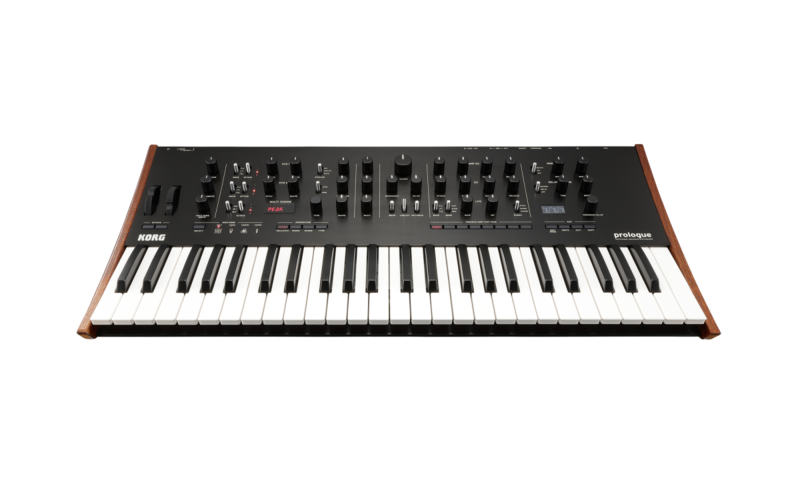 The keyboard is a high-quality Japanese-made natural touch keyboard, providing the same superb touch and feel as on KORG’s high-end workstations, and allowing a high degree of expressive power. 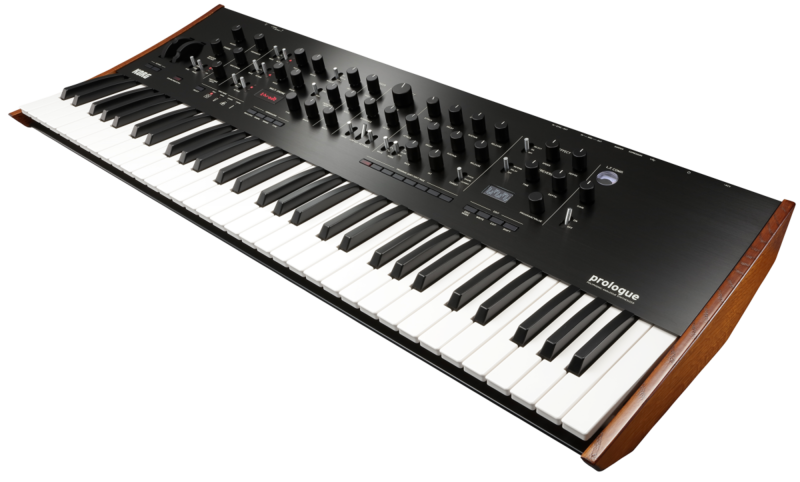 prologue’s body emanates beauty and the presence of a boutique synth, and newly redefines the look of a classic synthesizer. 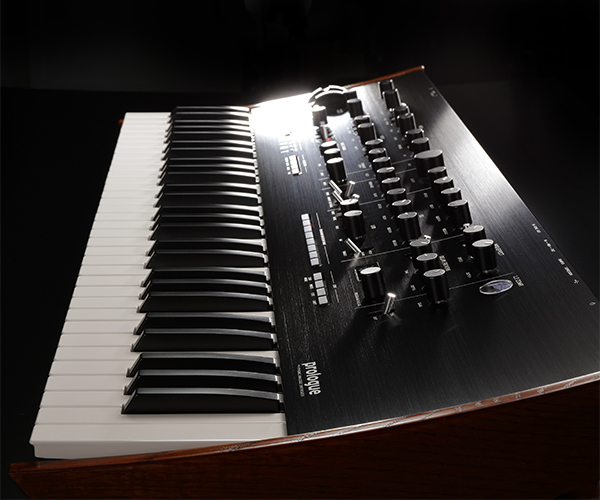 The black aluminum front panel features the same curvature as the minilogue, and sports a beautiful hairline finish. 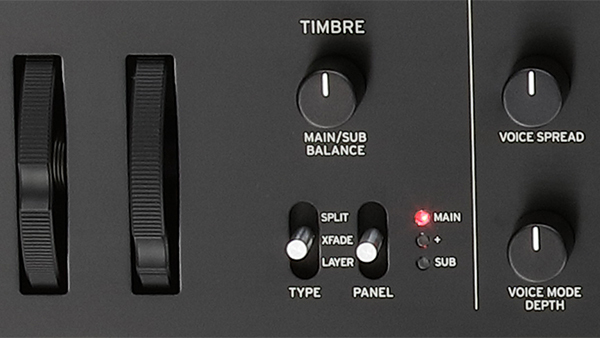 Metal knobs with a sense of weight, diamond-cut silver indices, and oak wood side panels are some of the details that emphasize the high quality of this Made In Japan instrument. 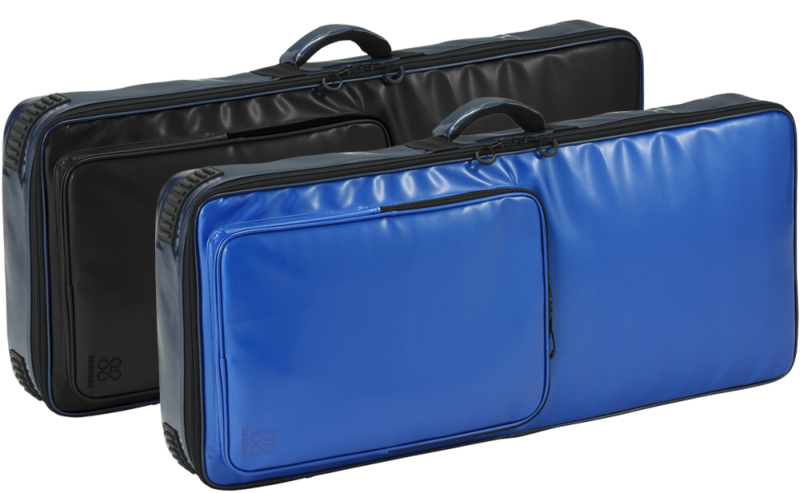 A dedicated soft case that can be used for either the prologue-16 or 8. Available in Black and Blue.